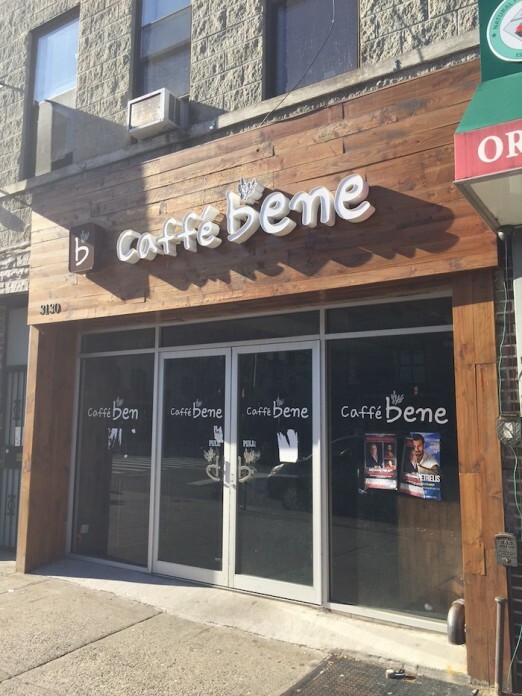 Are two new businesses opening in the old Ditmars Caffe Bene space? Perhaps, and they have interesting names – The Last Word and Bald Headed Billy. I noticed the For Rent sign has been scraped off. Last night at the Community Board meeting, the March Liquor License sheet was made available, and I found it curious that not one, but two businesses are slated to open in the old Caffe Bene space (31-30 Ditmars). Perhaps it was a typo, perhaps not—maybe two businesses really are arriving in this space. There’s certainly room for them—the space is long and currently sort of naturally divided into a front and back area. I remember when it was Caffe Bene and the back space was actually quite large. The names of the two businesses are pretty interesting, too—The Last Word and Bald Headed Billy. The Last Word is the name of a Prohibition cocktail invented in 1916 and debuted at the Detroit Athletic Club. It was mentioned in a 1950s cocktail book, Bottoms Up by Ted Saucier, and later was revived and popularized by folks in Seattle’s cocktail scene last decade. 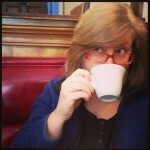 So, perhaps the space will become a new cocktail bar, a trend that is quite popular right now in Astoria. water, was sufficient to dislodge it, when it was split by drilling, and the two parts separately removed. It’s a pretty unusual name for a business, though quite memorable. And it definitely has a strong connection to Astoria’s history. But we have a bit of a mystery on our hands—we’ll continue to look into it and bring you news as we find it. If you have any information on what’s going on here, don’t hesitate to drop us a line. Update, 4/12/16: Turns out the winner is The Last Word; perhaps we’ll see Bald Headed Billy turn up elsewhere. We’ve heard confirmation from the Astoria Post that it will be “speakeasy style”—makes sense with the history of the original The Last Word cocktail from prohibition times. Co-owner Padraig O’Brien tasted the cocktail a decade ago and it “changed his life.” Along with cocktails, there will be wine, beer, and food, too. No seats at the bar; instead, table service. Several years ago, I spoke with a real Astoria old timer (he’s lived here over 65 years) and he said when he was a kid there was “a bar on every corner” along the Ditmars strip. Looks like bars—or at least places that boast their cocktail menus—are a big thing again on our beloved Boulevard. The landlord is a putz for this building. I had a client with a full ask offer in on the rent, but they required a little more build out time than he wanted to give. You CANNOT fit two businesses into this retail space, so that is an odd assumption. There is no natural divide or additional point of egress. There were most likely two liquor license applications going in at once because the owner of the building was flaky and not up front during the proceedings to get this space leased.